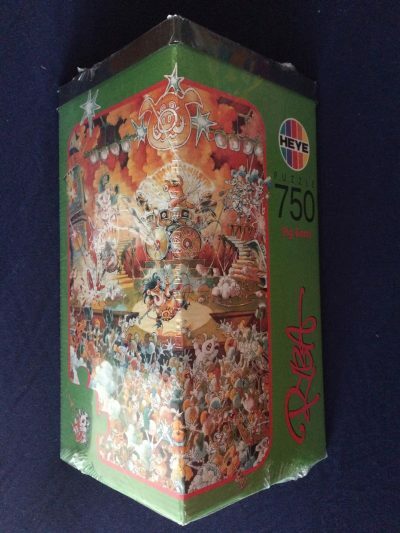 Schmidt manufactured this in interesting and very challenging puzzle 1992. It is very rare and difficult to find. 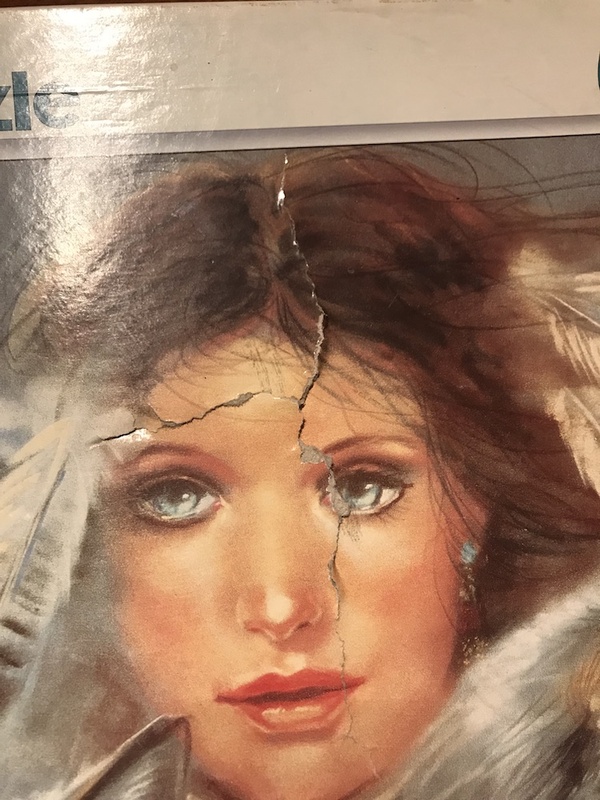 The title is Indian Summer, by Joy Caros. 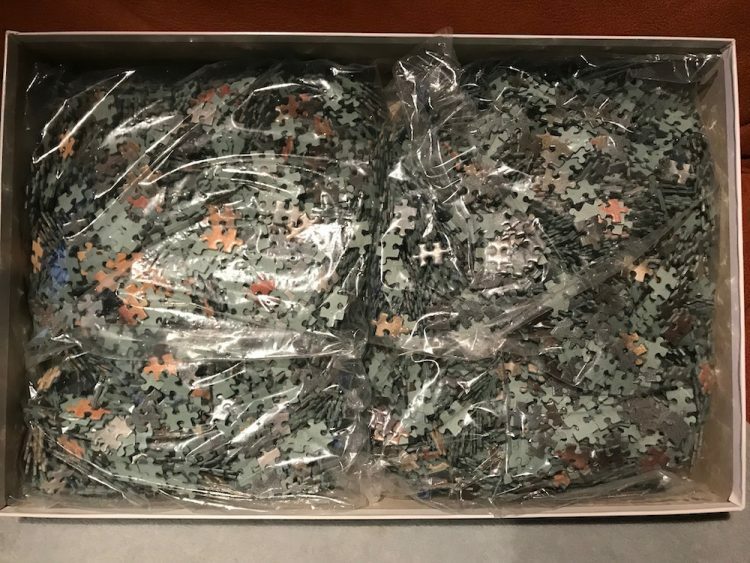 This puzzle is like NEW, with all the pieces SEALED inside the original plastic bags. 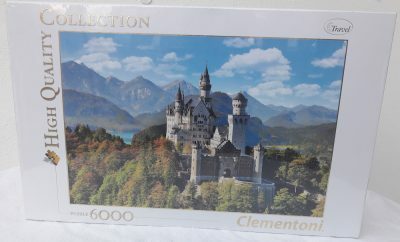 The box is in very good condition, except for a tear in the lid, as you can see in the photographs. 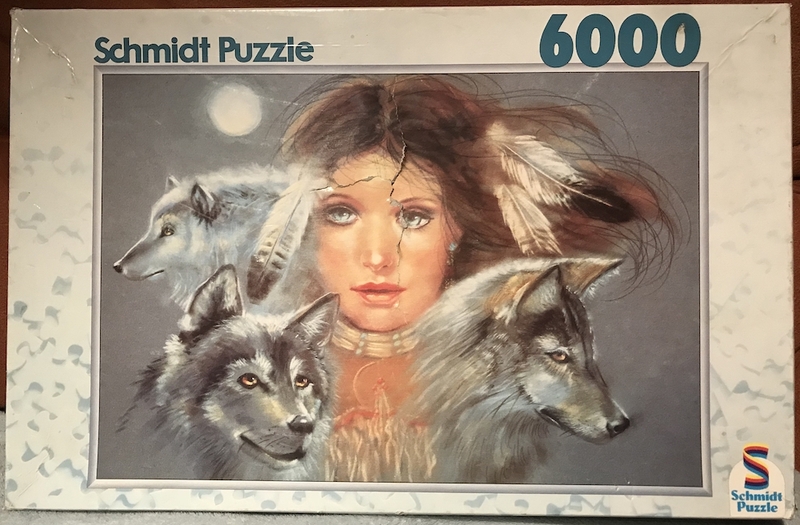 Schmidt published several large puzzles with paintings by Joy Caros, like the 6000 pieces version of Blue Mask. Puzzle size: 156 x 106.5 cm.